Taoyuan is one of Taiwan’s most picturesque locales, as indeed may be gleaned from its titles “The Flower Kingdom” and “Land of a Thousand Ponds”. This breathtaking place may only be a little ways off Taipei, but it definitely offers more than enough to the tourist to rival the country’s capital. Particularly interesting is its natural beauty, which provides a stark contrast to Taipei’s often aggressively modern and sterile appeal. Taoyuan is the site of the Dongyanshan National Forest Recreation Area, where nature-lovers can indulge in hikes, birdwatching, and simple relaxation. 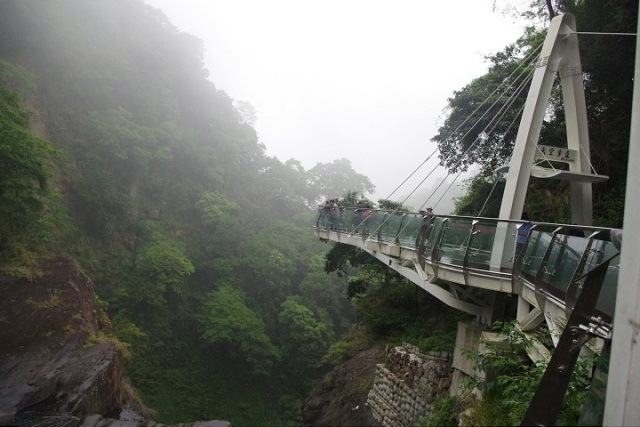 It is also the location of Yeheng Terraces, and the famed Xinwu Green Tunnel—both of which are strong favorites among sightseers and travelers. Flora is breathtaking throughout the county, with cherry and peach trees blossoming throughout the area and lotuses spreading a pink flush over its lakes. And when the latter bloom, their fragrance suffuses the place for miles, wrapping enraptured sightseers in a blanket of perfume. Taoyuan is also the site of Cihu—where the original mausoleum of Chiang Kai-Shek may be found. 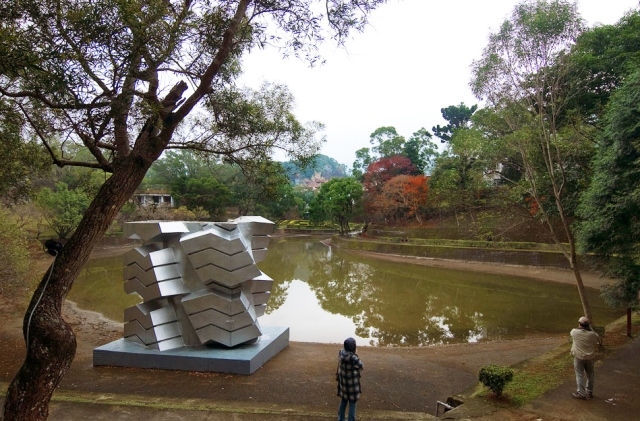 Cihu is culturally significant to all Taiwanese, and is also a sight for sore eyes with its serene 8-acre lake and verdant landscaping. 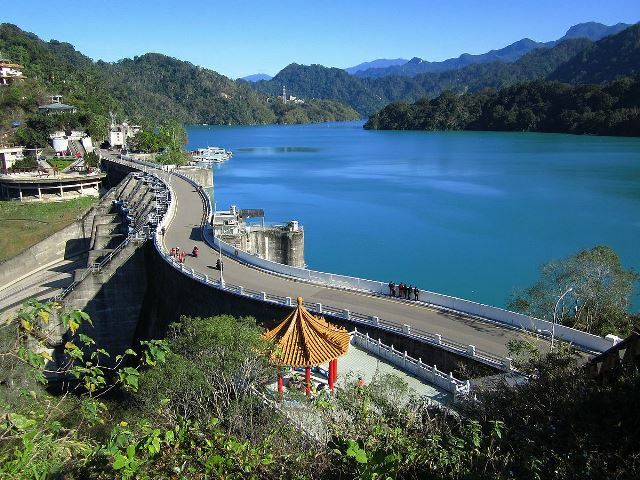 Besides it, tourists coming to the area also stop by places such as the enormous Shimen Reservoir, the Baisha Cape Light House casting its illumination over the Taiwan Strait, Longtan Tourist Pond with its palace floating on an island in its middle, Lala Mountain with its impressive juniper forests, the gorgeously forested Hutou Mountain Park, and the Japanese structures of Da River Old Street. 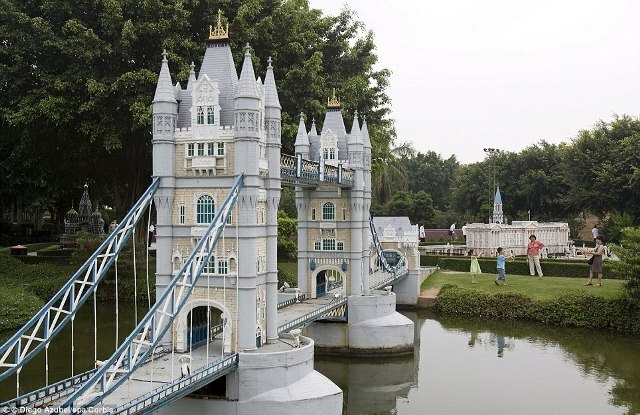 Modern attractions like malls in the urban locations, as well as structures such as the Window on China Theme Park—which has the tallest water flume ride in all of Asia, by the way—complete the appeal of this scenic location. 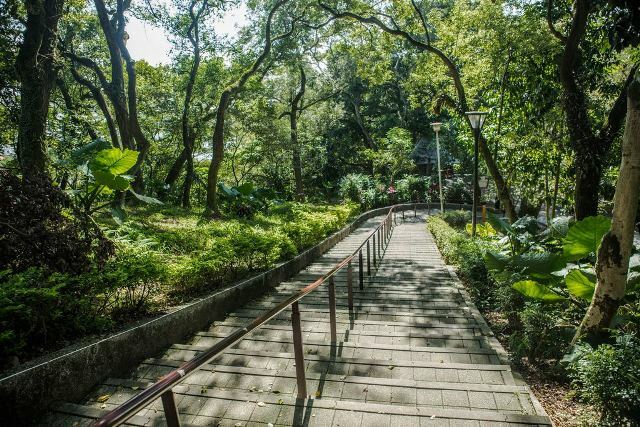 Often called Fuxing Park, the famous Jiaoban Mountain Park is situated on the southwest part of Mount Jiaoban. This mountain park is an ideal location for hiking, sightseeing, family picnicking and other recreational activities. The refreshing greenery and landscape, combined with the mild and moderate climate surrounding the mountain is perfect for relaxation and escape from the hustle and bustle on the city centre. Inside the park, several features and recreational facilities are provided for visitors including the Park Villa, the beautiful plum garden, mystery tunnel and international sculpture park. While famous for housing the biggest airport in Taiwan, the Taiwan Taoyuan International Airport, this once peach-filled area also developed a name for its distinctive attractions such as the natural hotspots, beautiful mountains, the Hakka culture, rustic areas and military communities and more. Today, Taoyuan has evolved into a beautiful modern place that attracts more and more visitors each year to explore its beauty and story. 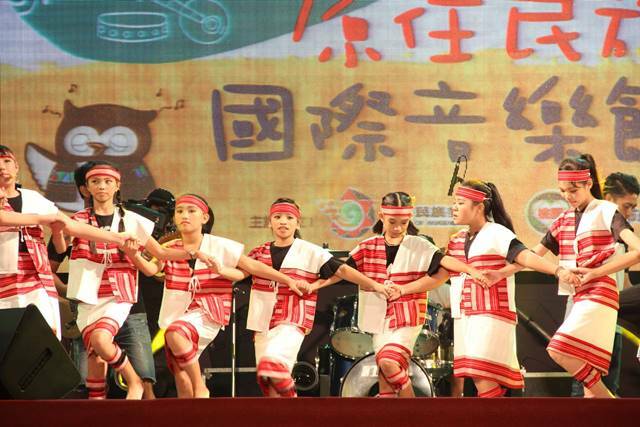 In addition, culture and festivals in Taoyuan are also highly anticipated not only by the locals but also by people from other counties. Situated at the intersection between Taoyuan City and Gueishan Township, Hutou Mountain Park is one of the popular hiking spots in Taoyuan County. Local people going up the mountain usually start in front of Jingihong Village Center and No. 479 Changsgou Road. The entire day trip takes nearly 90 minutes to tour some ancient structures and attractions such as Minglun Sasheng Temple, Martyr’s Shrine, Confucius Temple, Yat-Sen Park, Huweiliao and more.